Shares of Hero MotoCorp were trading lower for the ninth straight day, down 1 per cent, at Rs 2,571 in intra-day trade on the BSE on Monday. The stock is trading close to its 52-week low price of Rs 2,562, hit on January 31, 2019 in intra-day trade. In past two weeks, the two-wheeler company has underperformed the market by falling 9 per cent, on concerns of slower demand growth. In comparison, the benchmark S&P BSE Sensex was up 1.9 per cent during the same period. In the past one year, the stock has slipped 26 per cent, against 15 per cent surge in benchmark index, on account of volumes slackness followed by intense competitive intensity. The company has witnessed slackness in demand since November 2018. 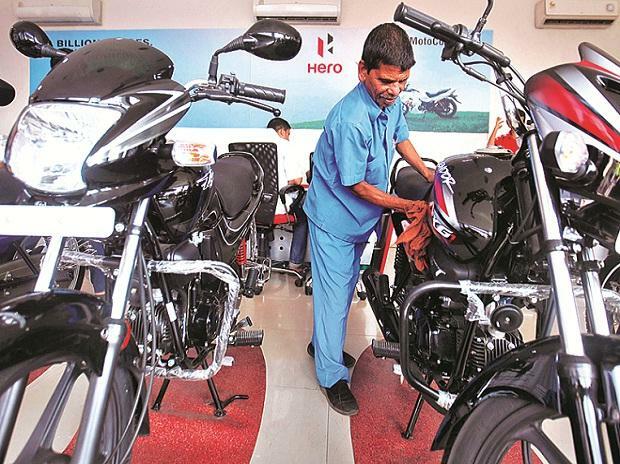 Although there are challenges in the near term, the management anticipates demand to firm up post H2FY20 on account of pre-buying as two-wheeler prices are expected to move up during FY20 on account of implementation of safety regulations and BSVI emission norms, analysts at Karvy Stock Broking said in management meet update. “While in short term, demand challenges persists, the long term growth outlook for Hero MotoCorp remains constructive given the moderate 2W penetration in India and its competitive advantages like strong brand and distribution network. It is a debt-free, cash-rich entity with 30 per cent plus average ROE. We believe, the stock is going to witness PE expansion,” the brokerage firm said. It re-iterates BUY rating on the stock with revised upward target price of Rs 3,331.